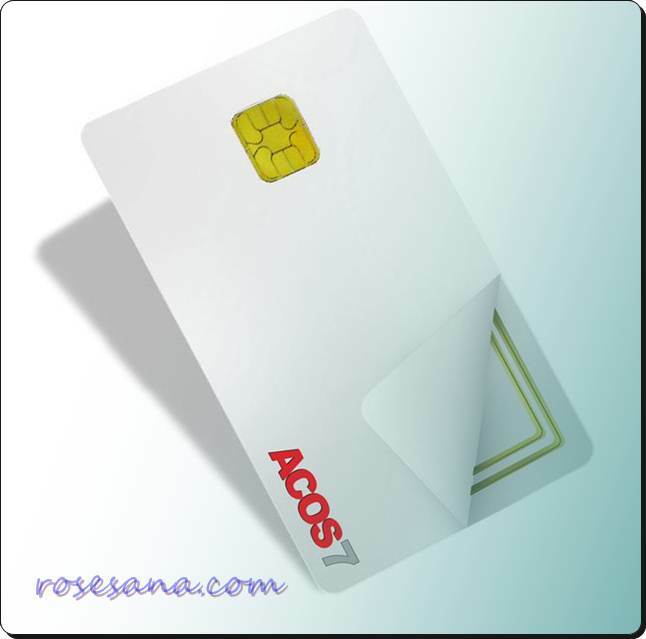 Purse MAC Computation to authenticate and ensure data integrity of data and commands that are transferred into the card and vice versa. Key Diversification to enable diversified entry of keys without exposing the master key. The ACOS6 Multi-application & Purse Card (MAP Card) is a high speed and flexible smart card offering cost effective solutions. 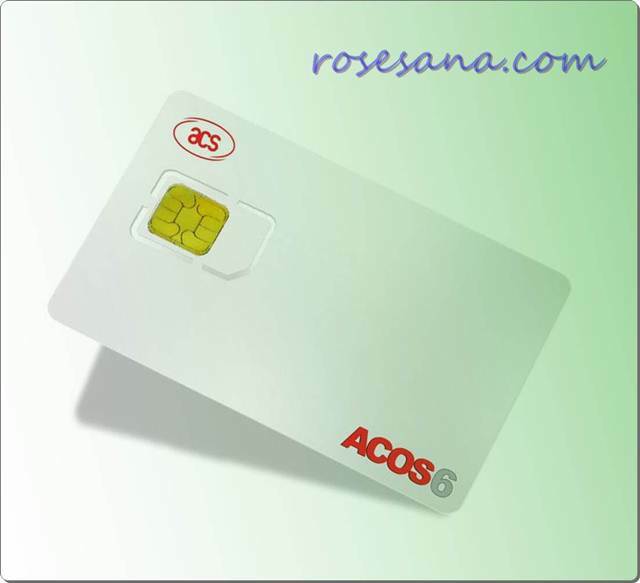 It is specifically designed to address the requirements of multiple applications and multiple e-purses with secure access hierarchy of multiple levels.ACOS6 allows for multiple secure e-purses, which are suitable for a wide range of applications in government services, payment applications, online top-up, loyalty programs and more.ACOS 6 provides a secure environment for each independent application. 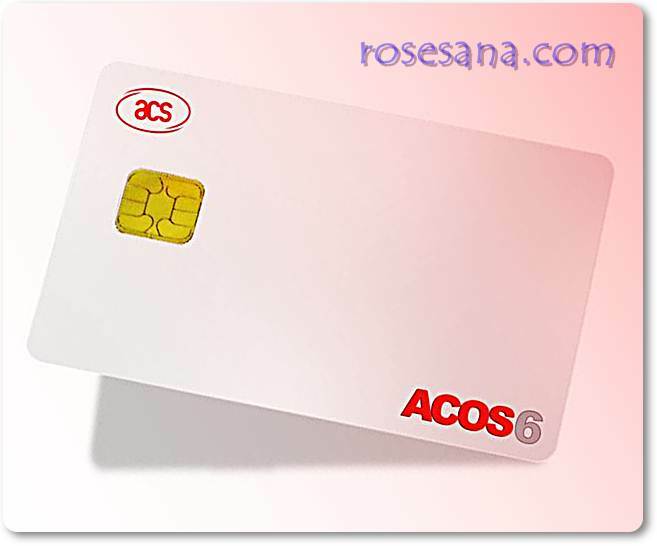 This function makes it card most suitable for incorporating various independent applications into only one card, thus providing cost effective solutions to developers, and a convenient platform to end users.Security provided by ACOS6 can further be enhanced by the ACOS6-SAM (Security Access Module) card that enables mutual authentication, secure messaging and key diversification. This module is a sub system for navigation is very practical when used in robotics applications. Equipped with 8 ports for sonar proximity sensor and eight ports for infrared distance sensor system can detect the distance of the 8 directions of the wind with two methods of ultrasonic and infrared. Ultrasonic method is used to detect accurately the distance to the object of a mirror that would interfere with the infrared method accuracy. While the infrared method is used to detect the distance to the object which the annoying squiggly accuracy ultrasonic method. The combination of these two methods will obtain a more accurate distance calculation. By using Compass Devantech CMPS09 or CMPS10, the module can detect the 8 directions of the compass, the magnetic field strength, 3 axis acceleration and also can save the route of the robot direction, slope and duration. This enables the robot to track back toward home. Please note the location of the card placing. Please don't place on the metal board, it would disable from reading. Depending on the material of window shield the reading distance may reach only 60% normal reading distance. 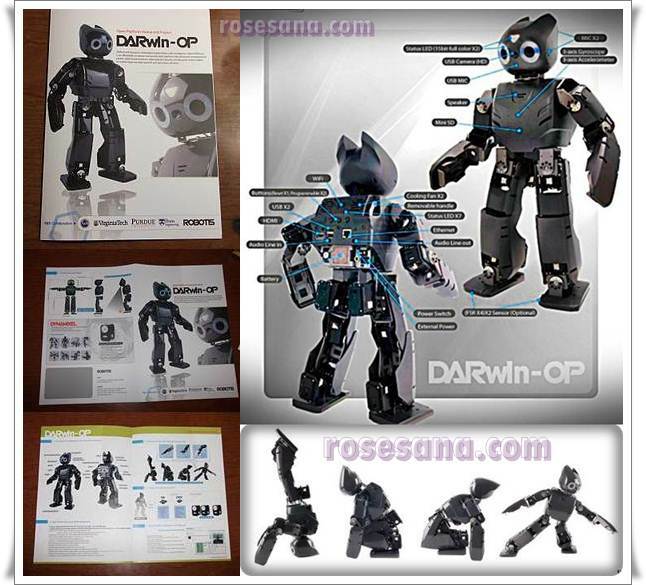 DARwIn-OP (Dynamic Anthropomorphic Robot with Intelligence - Open Platform) is an affordable, miniature-humanoid-robot platform with advance computational power, sophisticated sensors, high payload capacity, and dynamic motion ability to enable many exciting research, education, and outreach activities. Sponsored by the National Science Foundation (NSF) in the United States, DARwIn-OP has been developed by RoMeLa at Virginia Tech with collaboration with University of Pennsylvania, Purdue University and Robotis Co., based on the award winning DARwIn series humanoid robots in development since 2004. In July 2011, Team DARwIn competed at RoboCup in Istanbul, Turkey winning first place against 24 international teams. Tracking Sensor 8 SFH -detection sensor module is used line for line follower robot (Line Follower). Consists of 8 LEDs and 8 pieces of fruit-Silizium-NPN phototransistors (SFH 300). 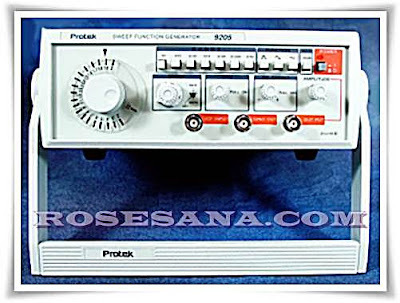 Have the analog data output for each sensor. The value of output voltage for each sensor is 0 VDC - 4.9 VDC. Value of the output voltage can be directly connected to the circuit ADC / comparator for processing by the microcontroller. There is a pin-out to turn off the LED through the LED or digital logic. Able to read color difference line and background color within a range of 4mm - 10mm. Variable resistors are available for the calibration of each sensor. Line Tracking Sensor 4 SFH -detection sensor module is used line for line follower robot (Line Tracer). 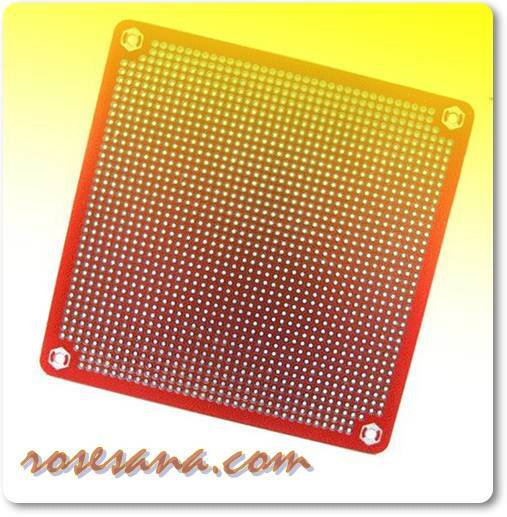 Consists of 4 LEDs and 4 pieces of fruit-Silizium-NPN phototransistors (SFH 300). The value of output voltage for each sensor is 0VDC - 4.9 VDC. 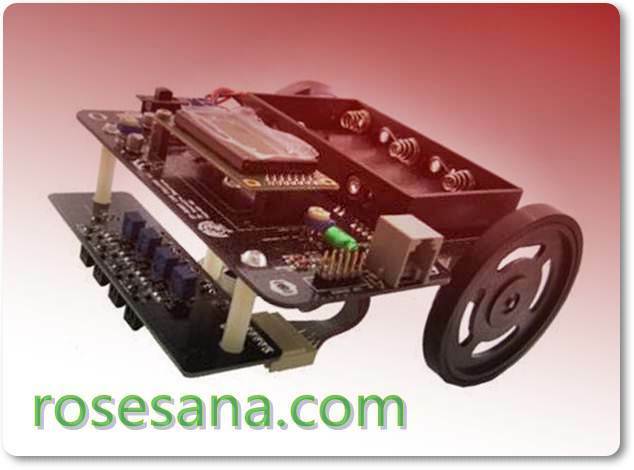 Line Tracking with 8 CDS Sensors is a line-detection sensor module which is used for line follower robot (Line Follower). 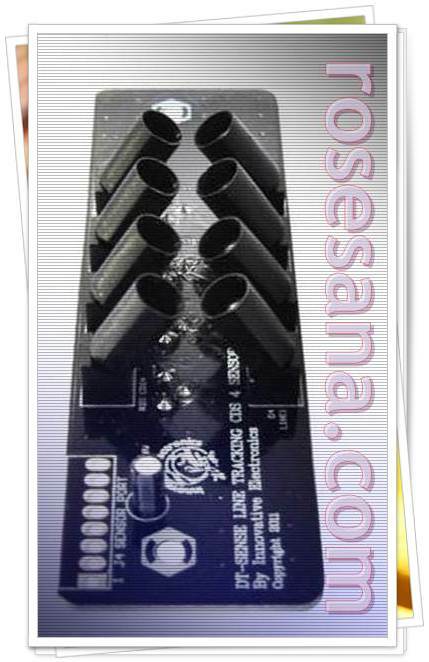 Consists of 8 LEDs and 8 pieces of fruit CdS Cell (LDR). Line Tracking with 4 CDS Sensors a line-detection sensor module which is used for line follower robot (Line Tracer). 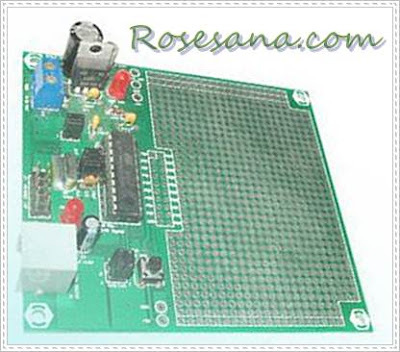 Consists of 4 LEDs and 4 pieces of CdS Cell (LDR). 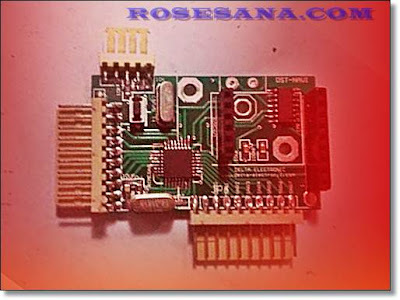 40 Pin MCS-51 microcontroller with AT89S51-based proto board that has a UART RS232 communication port and supports In-System Programming for microcontrollers featured ISP. 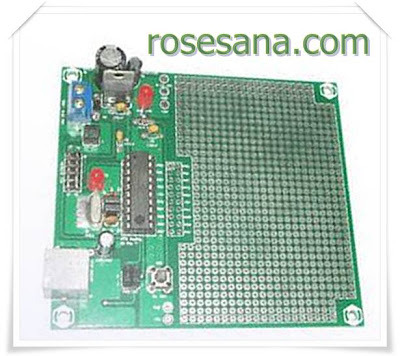 The module is equipped with a pad array for additional circuits, so this module is suitable for the experiment, make a simple single-chip applications, or create a prototype product. For example: LED display controller, motor driver controllers, robot motion control, data exchange with a computer or other modules, readers of digital sensors, memory access and PPI. 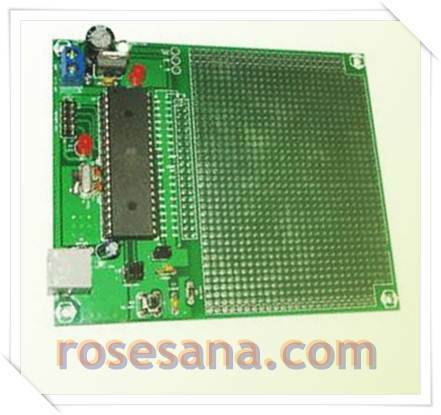 Based AT89S51 microcontroller which has a 4K bytes of Flash and 128 bytes of RAM PEROM. MCS-51 variant supports 40 other pins, among others: AT89S, AT89LS, AT89C. 32 channels input / output. Provided that the path is connected to pin RST, PSEN, ALE, X1, and X2 microcontroller. Input power 9-12 VDC, +5 VDC output voltage is available for an additional circuit. 5x2 headers available for programming using the device in-system programmer Atmel standard. 1 piece of serial communication line RS-232 UART with RJ11 connectors. External reset circuit with brown-out detector and manual reset button. Prototype area consists of 1018 through-hole pad suitable for DIP components (pitch = 0.1 "). There are 3 lines are connected to the pad that can be used for power supply lines (VIN, GND, +5 V) or other pathways. 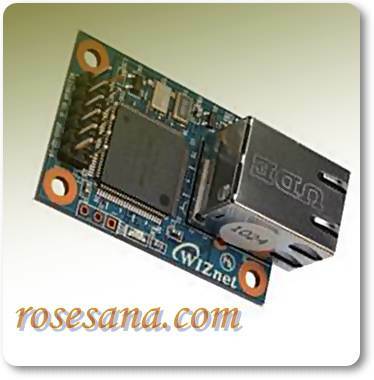 Equipped with a testing program to test the port 0 - port 3 and RS232 serial communication UART. 20 Pin MCS-51 is a proto AT89S2051 microcontroller-based board that has a UART RS232 communication port and supports In-System Programming for microcontrollers featured ISP. 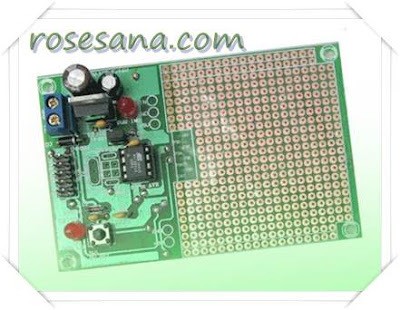 The module is equipped with a pad array for additional circuits, so the module is very suitable to experiment, create a simple application, or create a prototype. For example: LED display controller, motor driver controllers, robot motion control, data exchange with a computer, a digital sensor reader. AT89S2051 based microcontroller with 2K bytes Flash PEROM and 128 bytes of RAM. MCS-51 variant supports 20 other pins, among others: AT89Sx051, AT89LPx051, AT89Cx051. 15 channels input / output. Provided the path that connects to RST pin, X1, and X2 microcontroller. Input power 9-12 VDC, +5 VDC output voltage available for the application circuit. Prototype area consists of 787 through-hole pad suitable for DIP components (pitch = 0.1 "). There are three lines of pads that are connected in a row and can be used for power supply lines (VIN, GND, +5 V) or other pathways. Equipped with a testing program to test port 1 & 3 and the serial communication port RS232 UART. 40 Pin AVR-based Analog ATMEGA8535 a proto board that has a serial port UART and RS-232 supports In-System Programming. Available pad for a series array of additions / applications. This module is suitable for the experiment, create a prototype product, or make a simple single-chip applications. For example the application of LED display controller, motor driver controllers, robot motion control, data exchange with a computer, a digital sensor reader or analog sensors, as well as memory access and PPI. ATMEGA8535 Microcontroller with 8K bytes of Flash memory, 512 bytes of EEPROM, 512 bytes of SRAM, and 8-channel ADC with 10 bit resolution. Supports Analog 40 pin AVR variants of others, among others: AT90S8535, AT90S4434, ATmega16, ATmega163, ATmega32, and ATmega323. Provided the path that connects to RST pin, Aref, X1, and X2 microcontroller. Input power supply (VIN) 9-12 VDC, output voltage of +5 V is available for circuit applications. Available LED indicators and 5x2 header for programming devices in-system programmer Atmel standard. Available with Fosc 4 MHz crystal. There is a jumper to select the source of reset. Prototype area consists of 1088 through-hole pad suitable for DIP components (pitch = 0.1 "). 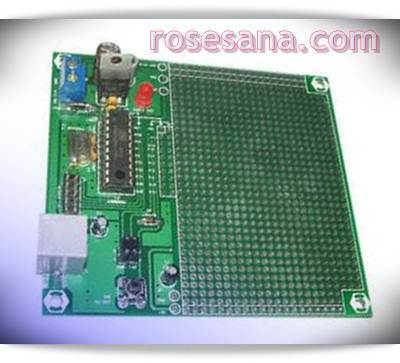 Equipped with a testing program to test the port A - D and serial communication port RS232 UART. AVR 40 Pin Digital is a proto board with ATmega8515-based serial port UART and RS-232 supports In-System Programming. Available pad for a series array of additions / applications. This module is suitable for the experiment, create a prototype product, or make a simple single-chip applications. For example the application of LED display controller, motor driver controllers, robot motion control, data exchange with a computer, a digital sensor reader, as well as memory access and PPI. ATmega8515 microcontroller with 8K bytes of Flash memory, 512 bytes of EEPROM, and 512 bytes of SRAM. Supports Digital 40-pin AVR variants of others, namely: AT90S8515, AT90S4414, ATmega161, and ATmega162. Having up to 35 channels of input / output. Provided the path that connects to RST pin, ICP, ALE, 0C1B, X1, and X2 microcontroller. Prototype area consists of 1008 through-hole pad suitable for DIP components (pitch = 0.1 "). 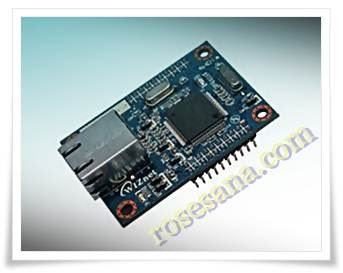 Equipped with a testing program to test the port A - E and serial communication port RS232 UART. 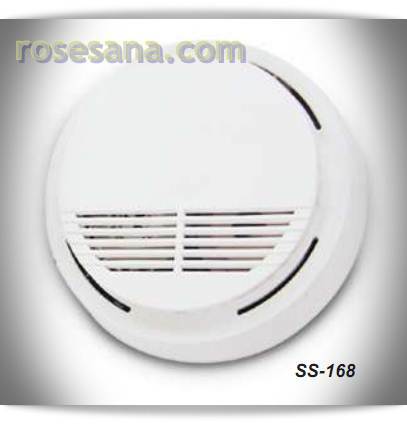 Once the smoke alarm has been installed a small indicator light (LED), positioned under the test button, should flash approximately once a minute in normal operation. 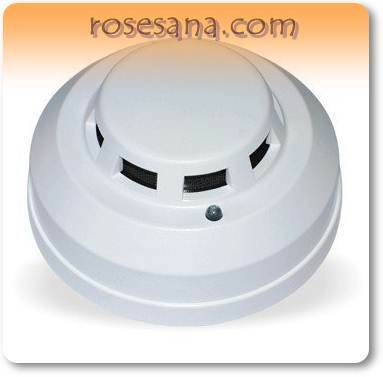 If smoke is detected the unit will emit a load pulsating alarm until the air is clear. Horn Level : 85 Decibels at 10 feet. Battery life : 1 year min. 28 Pin AVR ATmega8 is a proto-based board that has a serial port UART and RS-232 supports In-System Programming. Available pad for a series array of additions / applications. This module is suitable for the experiment, create a prototype product, or make a simple single-chip applications. For example the application of LED display controller, motor driver controllers, robot motion control, data exchange with computers, digital and analog sensor readers, as well as memory access and PPI. ATmega8 microcontroller with 8K bytes of Flash memory, 512 bytes EEPROM, 1K byte SRAM, and 8-channel ADC with 10-bit resolution. Supports analog 28 pin AVR variants of others, among others: AT90S2333, AT90S4433, ATmega28L, ATmega48, ATmega88, and ATmega168. 23 channels input / output, provided the lines are connected to the microcontroller pin Aref. 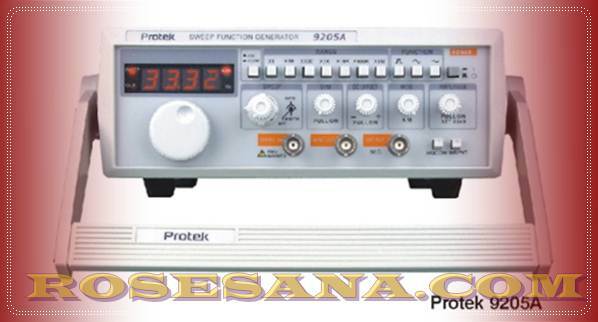 Available with Fosc 4 MHz crystal and a jumper to select the source of system clock frequency. 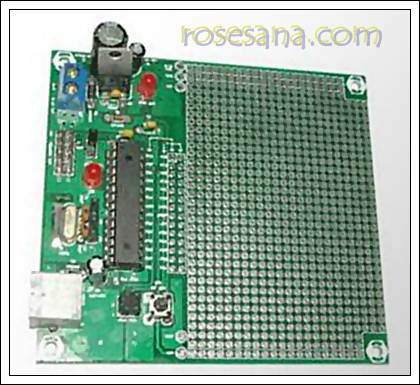 Equipped with a testing program to test the port B - D and serial communication port RS232 UART. 20 Pin analog AVR developmnet board is ATtiny26-based proto board that has a serial port UART and RS-232 supports In-System Programming. Available pad for a series array of additions / applications. This module is suitable for the experiment, create a prototype product, or make a simple single-chip applications. For example the application of LED display controller, motor driver controllers, robot motion control, data exchange with a computer, a digital sensor reader or analog sensors, as well as memory access and PPI. ATtiny26 microcontroller with 2K bytes Flash memory, 128 bytes of EEPROM, 128 bytes of SRAM, and 11-channel ADC with 10 bit resolution. 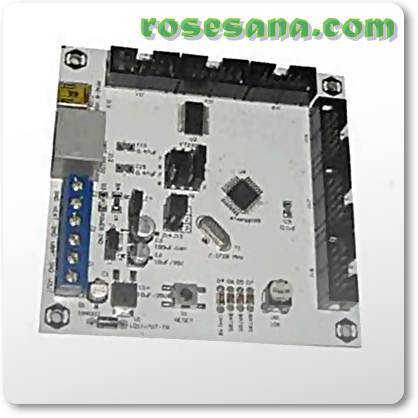 Supports Analog 20 pin AVR variants, namely, ATtiny26L. 16 channels input / output. using PCB plated through hole with an array of about 740 pad. 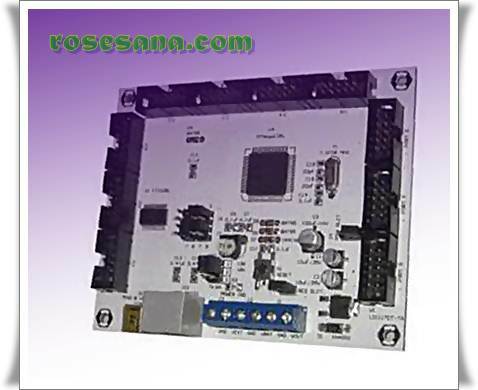 Equipped with a testing program to test the ports A & B and serial communication port RS232 UART. 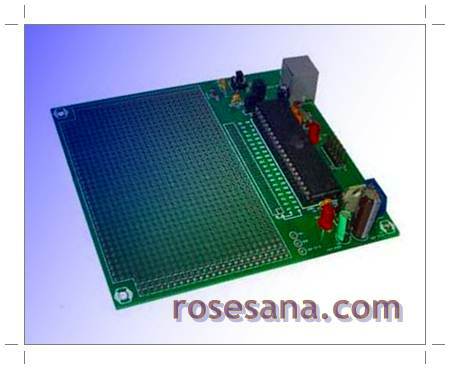 AVR 20 Pin Digital is based ATtiny2313 proto board that has a UART serial port RS-232 and features In-system Programming. Available pad for a series array of additions / applications. This module is suitable for the experiment, create a prototype product, or make a simple single-chip applications. 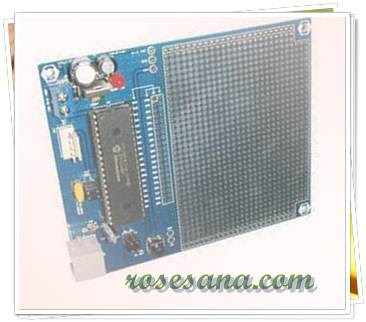 For example the application of LED display controller, motor driver controllers, robot motion control, data exchange with a computer, a digital sensor reader, as well as memory access and Peripherals Interfacing. ATtiny2313 Microcontroller with 2K bytes Flash memory, 128 bytes of EEPROM, and 128 bytes of SRAM. 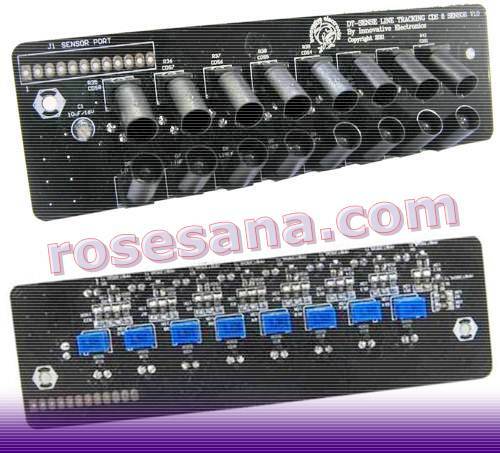 Supports Digital AVR 20 pin variants, namely,: AT90 (L) S1200 and AT90 (L) S2313. Have up to 18 channels of input / output. Prototype area consists of 744 non-through-hole pad suitable for DIP components (pitch = 0.1 "). DT-Proto 20 Pin AVR Digital started s / n 51.48.075, using PCB plated through hole with a pad array approximately 742 pad. Equipped with a testing program to test the port B & D and serial communication port RS232 UART. 8 Pin AVR ATtiny13 is a proto board that supports the feature-based In-System Programming. Available pad for a series array of additions / applications. This module is suitable for the experiment, create a prototype product, or make a simple single-chip applications. For example the application of LED display controller, motor driver controllers, robot motion controllers, readers and digital sensors analog sensors. ATtiny13 microcontroller with 1K bytes of Flash memory, 64 bytes EEPROM, 64 bytes of SRAM, and 4-channel ADC with 10-bit resolution. Supports 8 pin AVR other variants, namely: ATtiny11, ATtiny12, ATtiny15L, AT90 (L) S2343, AT90 (L) S2323 and ATtiny22L. Have up to 6 channels of input / output. 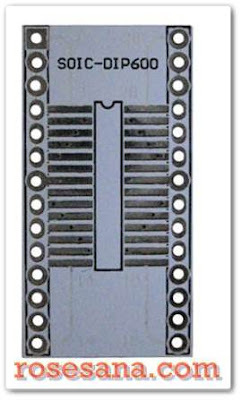 Prototype area consists of 434 non-through-hole pad suitable for DIP components (pitch = 0.1 "). 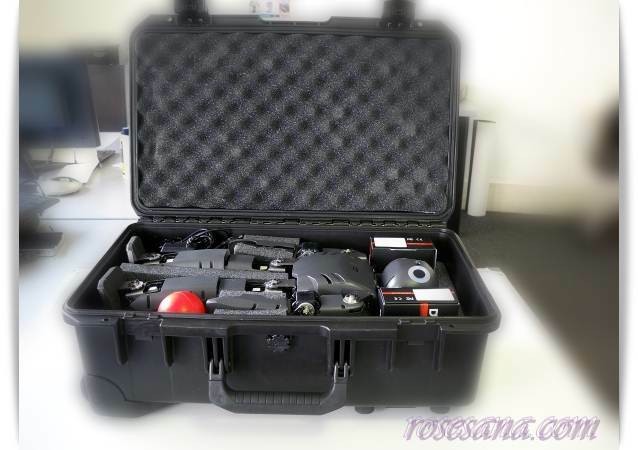 Equipped with a testing program to test the port B. 40Pin PIC® is a module-based single-chip microcontroller PIC® 40 pin DIP (such as the PIC16F877A) and supports In-Circuit Serial Programming ™ (ICSP ™). 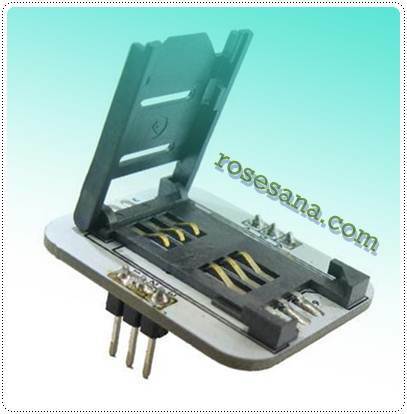 The module is equipped with an array pad (pad spacing 2.54 mm) as a series of application. This module is suitable to experiment and create a prototype or simple application, such as applications of LED display controller, motor driver controllers, robot motion control, digital and analog sensor readers, and many other application. Based PIC16F877A with 8K word (14-bit) Flash Program Memory. 368 bytes of data SRAM. 256 bytes of EEPROM data. 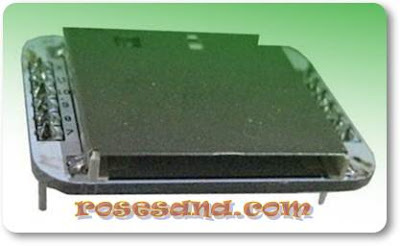 Supports PIC ® 40 pin DIP 0.6 "such as: PIC16C874 (A). - PIC16F877. 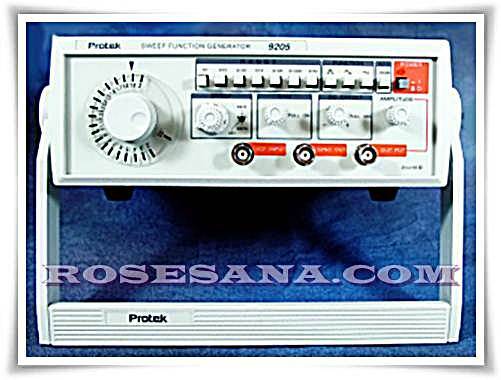 Having up to 33 channels of input / output with a current capability (sink / source), each for 25 mA (for PIC16F877A). 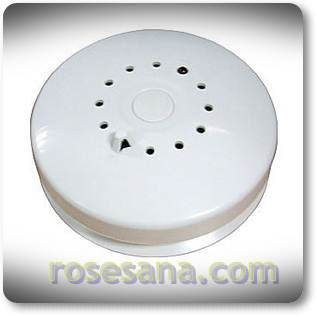 Has a reset circuit with manual reset button and brown-out detector. 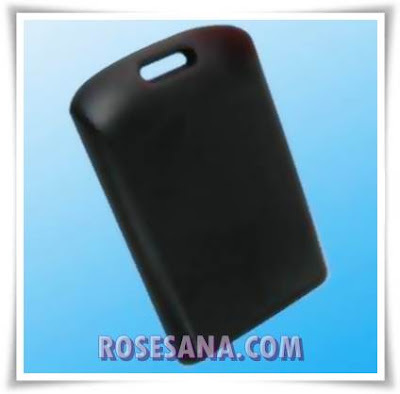 Available ± 1008 through-hole pad as a series of applications, the distance between the pad corresponding to 2.54 mm DIP IC. Available as a 4 MHz ceramic resonator clock source (clock) system. Available serial communication line RS-232 UART with RJ11 connectors, for data communication with a computer or other device. Requires power supply input 9-12 VDC and has a 5V DC regulated output voltage for the circuit application. Available programs in assembly language PIC tester and software MPLAB ® Integrated Development Environment ® © from Microchip ®. using plated through hole PCB with pad pad array around 1008. 18 Pin PIC® Evaluation Board is a module-based single-chip microcontroller that supports features PIC16F84A ICSP ™ and have a communication line RS-232 serial UART. The module is equipped with a pad array for circuit applications, experiment or create a prototype product. 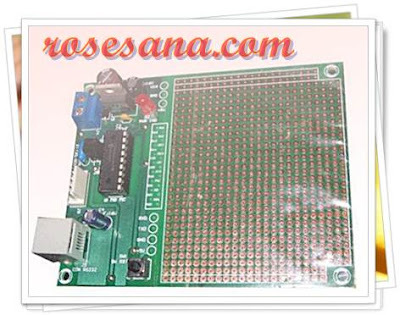 Example applications are: LED display controller, motor driver controllers, robot motion control, digital sensor reader, etc..
Based PIC16F84A with 1K word (14-bit) program memory, 64 bytes of data EEPROM, 68 bytes of data RAM, 8-bit timer, 25 mA sink / source current per pin I / O. Has 13 channels of input / output. Available approximately 708 non-pad array through hole with a width of 2.54 mm pitch (in accordance with the DIP packaging). 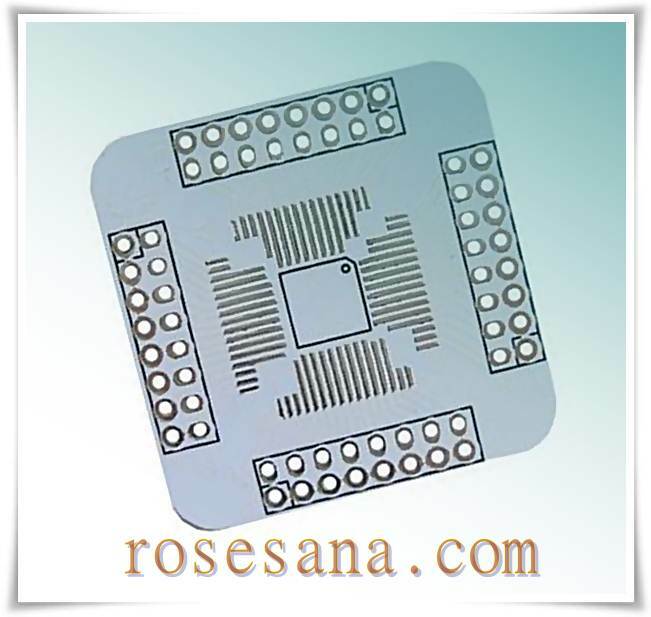 Available 4MHz ceramic resonator, equipped with a jumper to disconnect the circuit ceramic resonator. 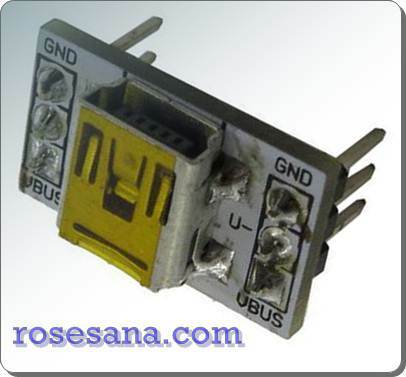 Available UART serial RS232 communication lines with RJ11 connectors. Requires power supply input voltage is 9-12 VDC and has a 5 VDC output voltage regulator that can be used to supply application circuit / external. Equipped with PIC MPLAB IDE software development, as well as a program tester to test the port I / O and serial communications. 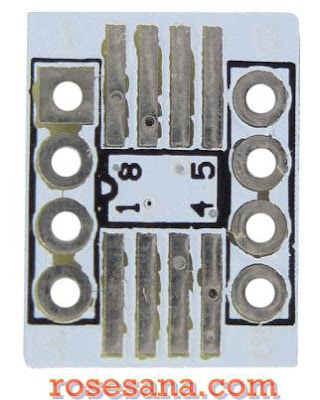 8 Pin SOIC to DIP is a converter board for packaging single chip with 8 pin SOIC (Small Outline Integrated Circuit) to the DIP (Dual In-Line Package) with the distance between pin 1 "(2.54 mm). Board single chip packaging converters 8 pin SOIC to DIP. The distance between the pin DIP (pitch): 1 "(2:54 mm). 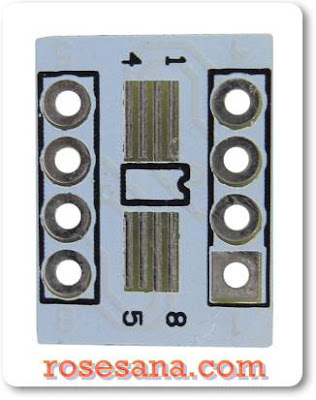 Suitable for use on a bread board, pcb holes, and the 8 pin IC socket with the addition of headers with pitch 1 "(2.54 mm). 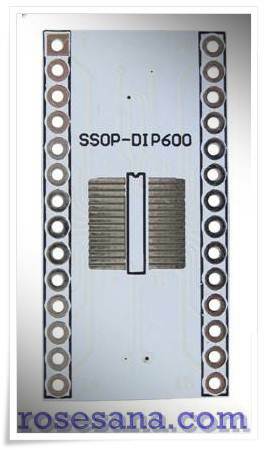 8 Pin SSOP to DIP is a converter board for packaging single chip with 8 pin SSOP (Shrink Small Outline Package) to a DIP (Dual In-Line Package) with the distance between pin 1 "(2.54 mm). Board single chip packaging converters 8 pin SSOP to DIP. 28 Pin SOIC to DIP is a converter board for packaging single chip with 28 pin SOIC (Small Outline Integrated Circuit) to the DIP (Dual In-Line Package) with the distance between pin 1 "(2.54 mm). Single-chip packaging converter board 28 pin SOIC to DIP. Suitable for use on a bread board, pcb holes, and the IC socket 28 pin header wide with a pitch with the addition of 1 "(2.54 mm). 28 Pin SSOP to DIP is a converter board for packaging single chip with 28 pin SSOP (Shrink Small Outline Package) to a DIP (Dual In-Line Package) with the distance between pin 1 "(2.54 mm). Single-chip packaging converter board 28 pin SSOP to DIP. USB Mini-B Socket is a converter board connector pin-outs for the USB Mini-B to 6-pin DIP. Serves as a board converter to USB Mini-B connector to a 6-pin DIP. Width between the pin: 1.5 cm (the width of the IC 40-pin DIP). Pin-Out: Data +, Data-, Vbus, GND. SIM Card Socket is a converter board connector pin-outs for the SIM Card into 6-pin DIP. Serves as a board converters for SIM Card connector to 6-pin DIP. Width between the pin: 2.3 cm. 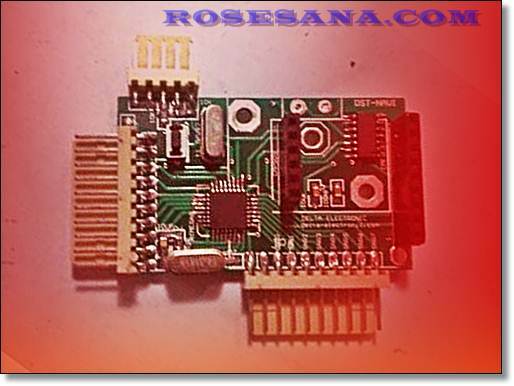 Pin-Out: VDD, Reset, Clock, GND, VPP, I / O.
SD Card Slot is a converter board connector pin-outs for SD Card Slot to 12-pin DIP. Serves as a board converter to plug into SD Card Slot 12-pin DIP. Width between the pin: 3.3 cm. 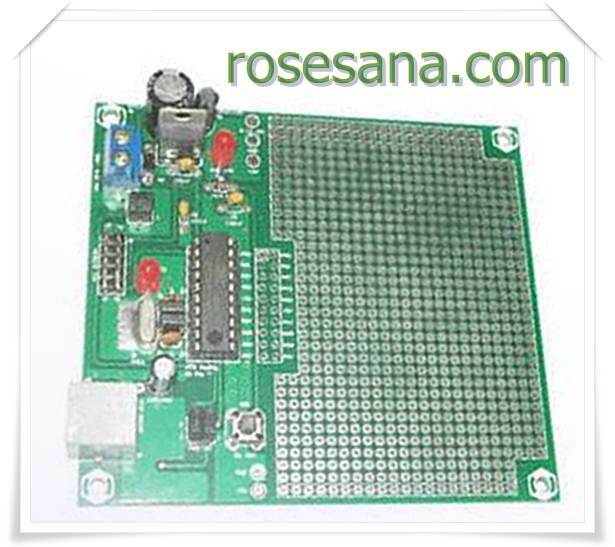 PCB Matrix 40 is a proto board that provides as many as 1568 holes empty pad pad. By using technology Through-hole, making a variety of shapes and types of components can be easily soldered to this PCB hole. Diameter of hole: 1mm +. Using a Through-hole technology for each pad. 32/44/64 Pin TQFP Adapter Board is a converter for a single chip with pin TQFP package 32/44/64 (Thin Quad Flat Pack) to header pins spaced 1 "(2.54 mm). Board converter with single chip packaging 32/44/64 TQFP to the header. The distance between the pin header (pitch): 1 "(2:54 mm). Compatible with IC or chip with 32/44/64 TQFP package. Suitable for use on a bread board and pcb holes with the addition of headers with pitch 1 "(2.54 mm). Line Follower Robot is a wheeled robot kit designed specifically for the application of line follower. 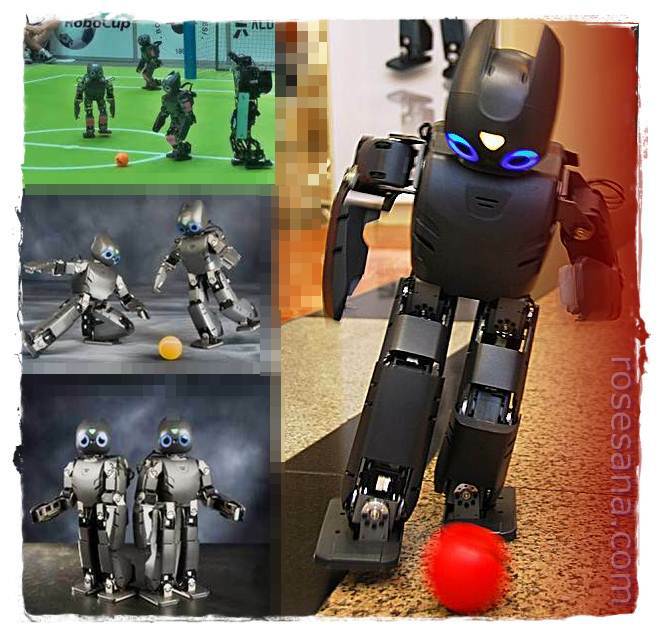 This robot kit is suitable as a means of learning about line follower robot for the beginner to the learning algorithm for advanced programming. Equipped with an internal motor driver SN754410 dual H-Bridge. Using High Speed ​​Metal Mini Motor Set which serves as the rear wheels. There is a fruit-free wheel that serves as the front wheels. Using a sensor module 4 Line Tracking Sensor SFH to detect lane / line. 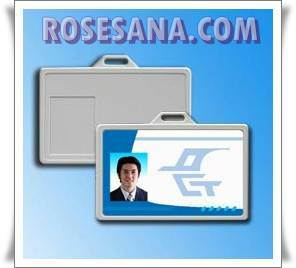 Equipped with 8x2 character LCD that serves as a medium of information. Provided communication line RS-232 UART. There are 3 pieces that serve as input switch and reset. There is a 5x2 ISP port that serves for charging into the microcontroller program code. Has a 1 piece On-Off switch that will facilitate in deciding or connect the power supply to the controller circuit. Requires power supply from 6 AA batteries (1.2 VDC or 1.5 VDC). There is a sample program in C language that can be directly used for line follower applications. Parameter setting / sensor logic can be easily set by using the GUI software that can run on PC (Windows OS). Program in the microcontroller can be changed / modified as needed. 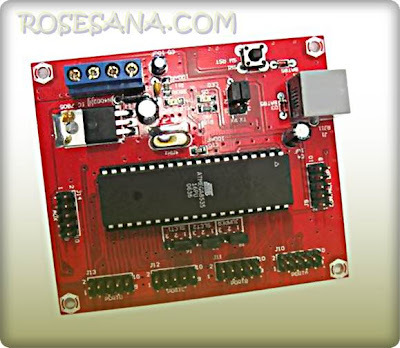 ATMEGA128L bootloader MICRO SYSTEM is a single-chip microcontroller-based module that is equipped with a bootloader ATmega128L so no longer needed additional device programmer to perform In-System Programming. In-System Programming can be done through the UART communication channels with the help of AVR Bootloader bootloader and software. This module also provides a UART communication channels for communication with computers or other devices through USB, UART TTL, or RS-232 UART. Flash memory for user programs by 124 kbytes (4 kbytes 128 kbytes of flash memory used for the bootloader). 8-channel ADC with 10 bit resolution. Low power (2.7 V - 5.5 V). Having up to 52 channels Input / Output. Oscillator frequency of 7.3728 MHz. Equipped with a bootloader to assist the process of In-System Programming via the UART. The process of In-System Programming uses the AVR Bootloader help of software from Innovative Electronics. The process of In-System Programming can be done through USB or serial RS-232 UART (via RJ-45). Device does not require the programmer to enter the program into the microcontroller. Available communication channels UART RS-232 via the USB port (via USB to RS-232 on board) or serial port. Manual reset circuit available via tactile switches. Available options 6-12 V input power supply (through a voltage regulator on-board) or 3.3-5V (without going through the regulator). Output options are available on-board voltage regulator 3.3 V or 5 V.
Available output voltage terminal in accordance with the output options on-board voltage regulator. Equipped with the Application Note for the use of software modules with AVR Bootloader. Available USB drivers, software CodeVisionAVR evaluation version, manual, datasheet, and the schematic circuit. 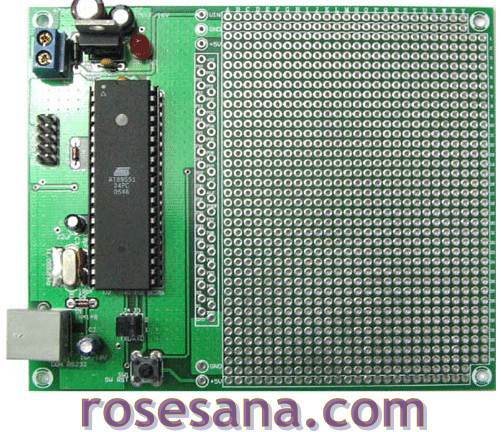 ATmega168 bootloader MICRO SYSTEM is a single module ATmega168 microcontroller-based chip is equipped with a bootloader, so no longer needed additional device programmer to perform In-System Programming. In-System Programming can be done through the UART communication channels with the help of AVR Bootloader bootloader and software from Innovative Electronics. 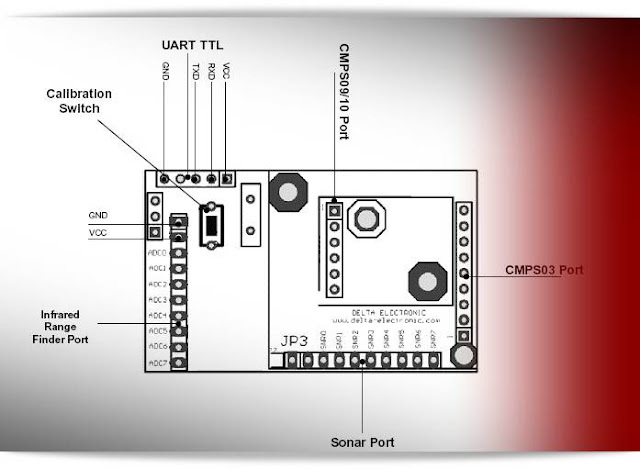 This module also provides a UART communication channels for communication with computers or other devices through USB, UART TTL, or RS-232 UART. 14 kbytes of flash memory (2 kbytes 16 kbytes of flash memory used for the bootloader). 1 kbytes of internal SRAM. 2 pieces of 8-bit Timer / Counter and a 16-bit Timer / Counter. Master / Slave SPI Interface and byte-oriented TWI (2-Wire Interface). 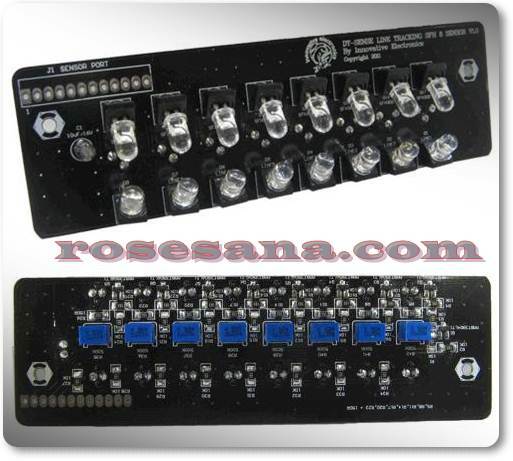 Has 20 channels of I / O with 2 pins as ADC input channels. Does not require a device programmer for In-System Programming. Equipped with AVR Bootloader software to assist the process of In-System Programming via the UART. The process of In-System Programming can be done through USB or serial RS-232 UART (via RJ-45) via a jumper setting. Available communication channels UART RS-232 via the USB port (via USB to RS-232 on-board) or serial port. Available tactile switches for manual reset button. Blue terminals are available for output voltage (VOUT) which can be used for circuit applications (VOUT = output voltage regulator on-board). Low Cost Nano System uses mikrokontoler ATtiny2313 AVR ISP that has 2 Kbyte Flash program memory, 128 bytes of EEPROM, 128 bytes of internal SRAM. Support the AVR ® 20 pin variants include: AT90S1200 and ATtiny2313 (V). Have up to 15 pins path input / output. Complete with a 4 MHz oscillator and has the ability UART Serial communication RS-232 that has been perfected. Complete with a series of reset, manual reset button, and brown-out detector. Using the input voltage is 9-12 VDC and has a 5 VDC output voltage. One 8-bit Timer / Counter and a 16-bit Timer / Counter. Low Cost Micro System is a single-chip microcontroller module ATMEGA8535 with 8 Kbyte Flash Memory, 512 byte SRAM, and 512 bytes of EEPROM. DT-AVR Low Cost Micro System also has up to 8-channel ADC single-ended A / D converter with a resolution of 10 bits. Two-wire Serial Interface Programmable Serial USART (Universal Synchronous and Asynchronous serial Receiver and Transmitter). Quad Relay Board is an output module that consists of 4 types of mechanical relays SPDT (Single Pole Double Throw) with the ability to cascade up to 2 modules to produce a mechanical type SPDT relay 8. Each relay has a current capability up to 10A AC with 3 relay coil voltage options (05/12/24 VDC). Consisting of four mechanical type SPDT relay (Single Pole Double Throw). Relay contacts capable of energized AC up to 10 A @ 240 VAC. Relay driver transistor completed using a diode for reverse voltage safety relays. 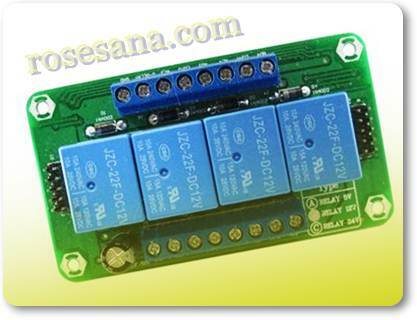 Configure active high input, logic high (+3.3 - +5 VDC) to activate the relay. There are two input terminals of the header 5x2 (IN PORT & EXT PORT) that are compatible with TTL & CMOS voltage levels. Modules can be connected with a kind but has a coil voltage of the same type / different through PORT EXT. Relay contacts (COM, NO, NC) and the terminal voltage of the relay using a blue terminal so as to facilitate the process of wiring to an external circuit. GND path relay coil and relay logic inputs are separated by the chip EMI filter to reduce noise from the power supply relay coil. There are 4 hole spacer of 3 mm to facilitate the installation of the module.